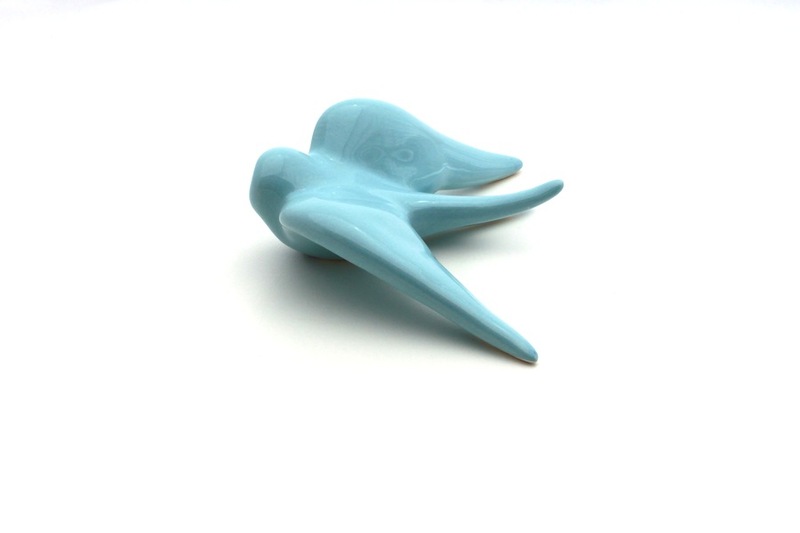 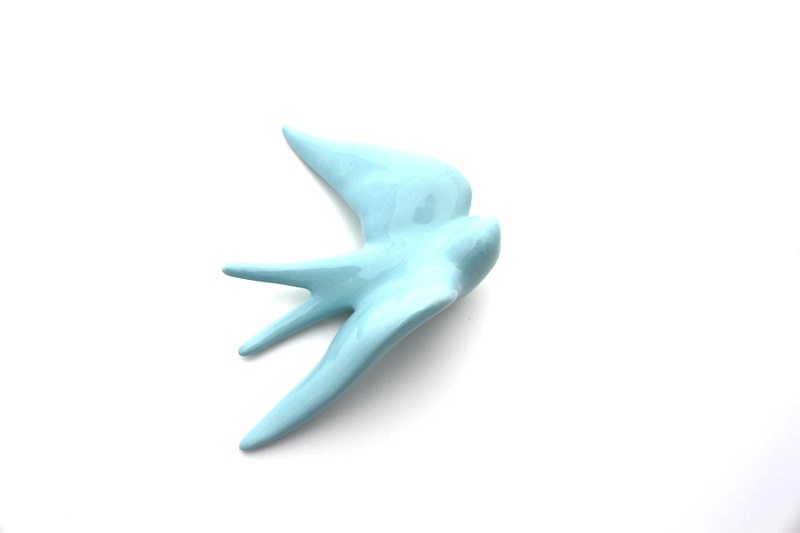 Revisited and elegant ceramic swallow, Portuguese artisanal work, ideal for wall decor! 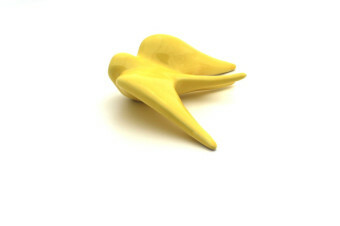 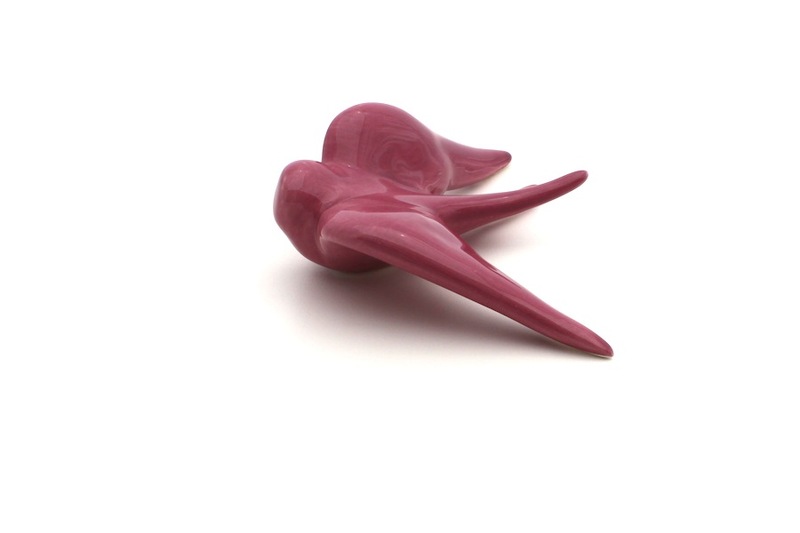 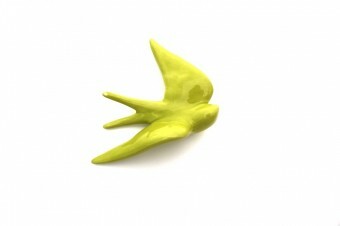 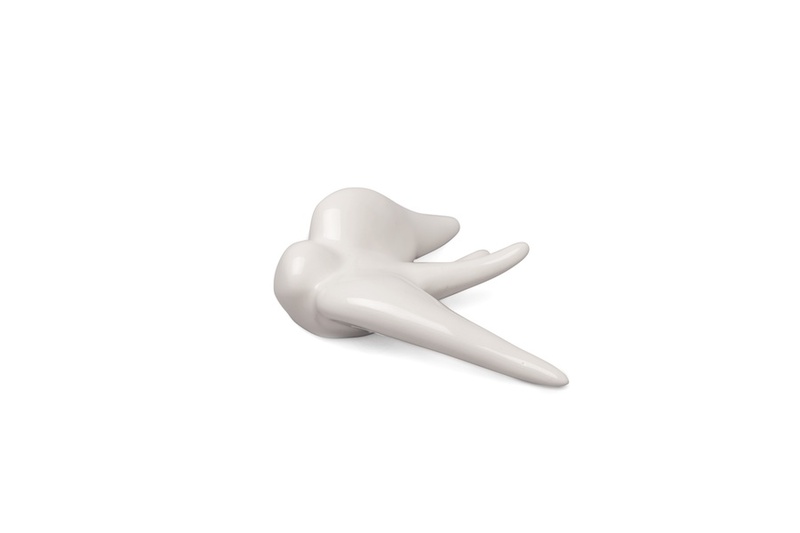 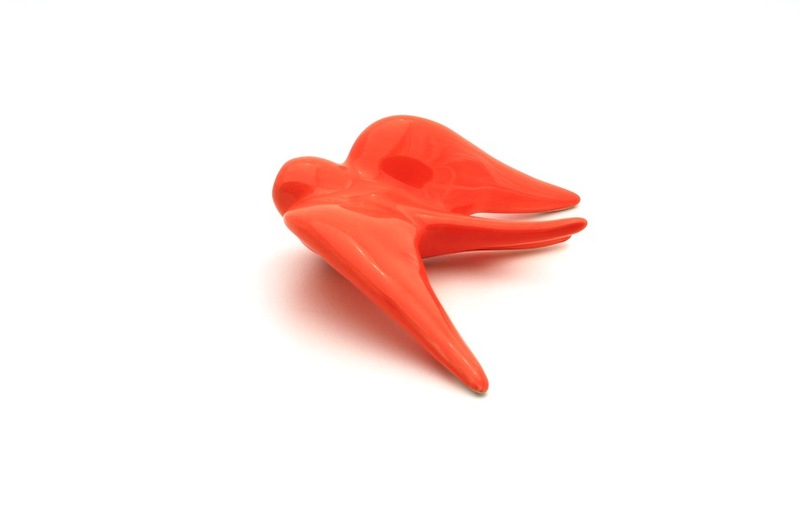 Pois likes: we like this revisited, elegant and joyful ceramic swallow. For the little story, ceramic swallows were introduced in the Portuguese Popular Culture by the artist Bordallo Pinheiro. 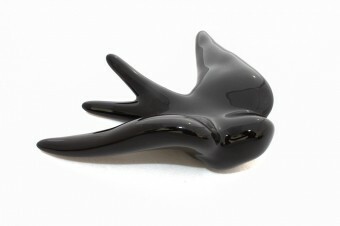 At that time, it was very popular to hang swallows on the homes’ facades, near the main door. 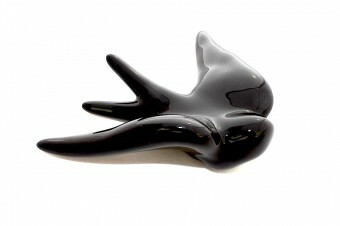 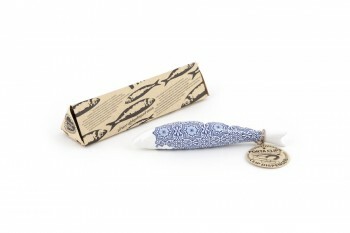 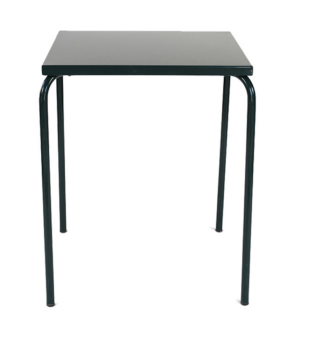 Now, they are back home as a trendy decoration accessory, being synonymous with family and loyalty. 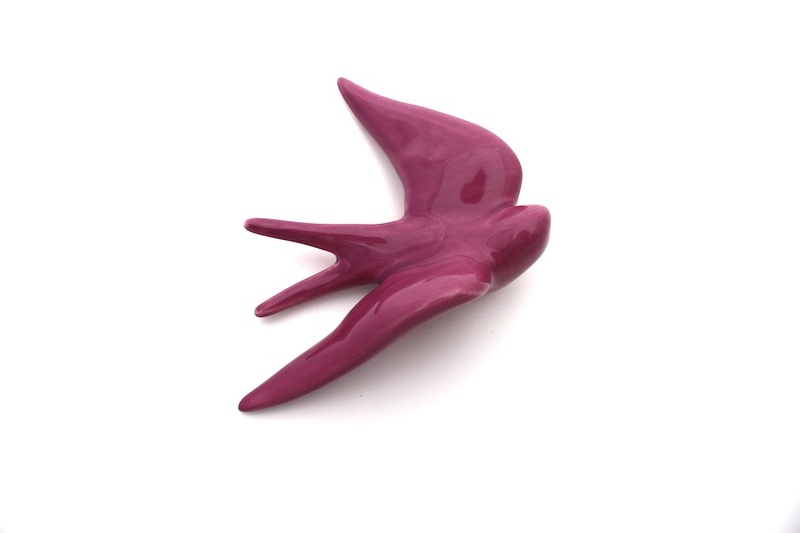 This migratory bird is known to be brave and faithful and its symbol wishes a warm welcome back. 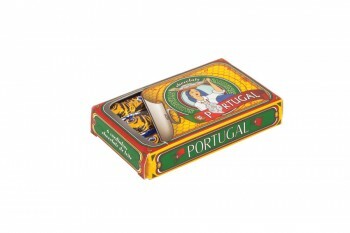 It is the perfect souvenir from Portugal to offer to those you love and want to come back.